Applications are now open for the John David Stout Fellowship for 2015. Based at the Stout Research Centre for New Zealand Studies at Victoria University of Wellington, the Fellowship provides a great opportunity for authors and scholars to research and write on their chosen topic within an interdisciplinary academic environment. The Fellowship is funded by the Stout Trust. It has been created to foster research in New Zealand society, history and culture by providing the Fellow with an opportunity to work within an academic environment for the year of tenure. The Fellowship, which was established in 1985, has resulted in a body of influential publications in the field of New Zealand studies. The Fellowship is open to researchers in any area of study relating to New Zealand society, history or culture, but is not intended to fund the writing of a novel, play or other literary work. Applicants should be scholars of high standing, with an established publication record, who have a particular project they wish to initiate or complete. They must be able to devote themselves to full-time research and writing on their chosen topic. Preference may be given to an applicant who proposes a fresh field of research. The successful applicant will spend a major part of his or her time at the Stout Research Centre so as to be able to take an active part in the life of the Centre. There is no restriction on either the nationality or occupation of applicants. The Fellowship will not be awarded to anyone whose research is concurrently supported by their regular employment, nor for the writing of a PhD. The tenure of the Fellowship is for 12 months, normally to be taken up on 1 March each year. The application round takes place around August-September each year for the appointment of the following year's JD Stout Fellow. The Fellow will be attached to the Stout Research Centre at Victoria and will be responsible to the Director. The Stout Research Centre has been established at Victoria University of Wellington to encourage the study of society, history and culture in New Zealand. The Centre holds regular seminars and lectures during the year and the Fellow will be expected to contribute to this programme in a manner appropriate to his or her personal strengths and preferences. It is expected that a publication will result from the tenure of the Fellowship. All aspects of publication (negotiation of contract with publisher, design, etc.) are the responsibility of the Fellow. A room in the Stout Research Centre will be provided for the duration of the Fellowship, with access to computer, library and other facilities. Applications for the JD Stout Fellowship are generally invited during August-September of the preceding year. The closing date for submitting applications is 1 October. Applications can be made through Victoria University's home page under Vacancies. 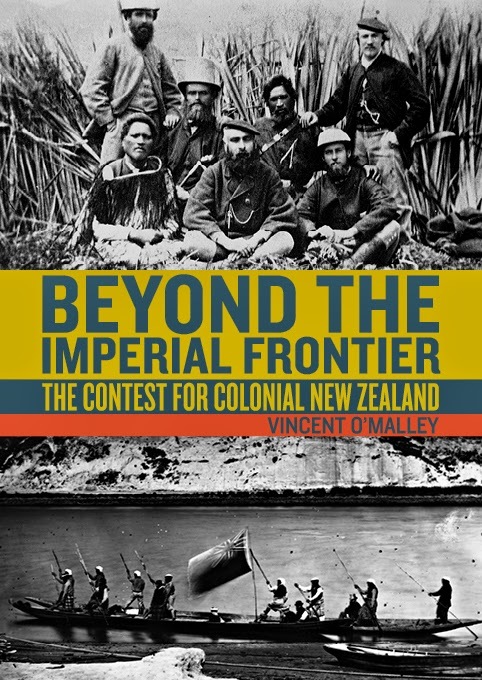 Beyond the Imperial Frontier is an exploration of the different ways Māori and Pākehā ‘fronted’ one another – the zones of contact and encounter – across the nineteenth century. Beginning with a pre-1840 era marked by significant cooperation, Vincent O’Malley details the emergence of a more competitive and conflicted post-Treaty world. As a collected work, these essays also chart the development of a leading New Zealand historian. 12. The Curious Case of Tiritiri Matangi Island: Terra Nullius New Zealand-style?